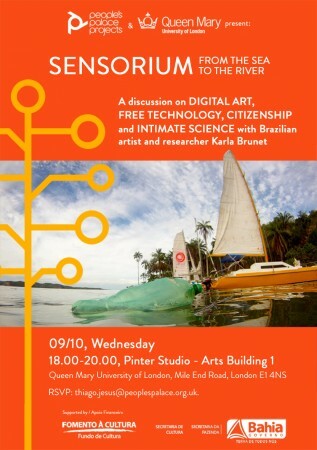 Nesta quarta-feira, participei de uma palestra sobre o projeto Sensorium: do mar para o rio, no People’s Palace Project, Queen Mary, University of London. 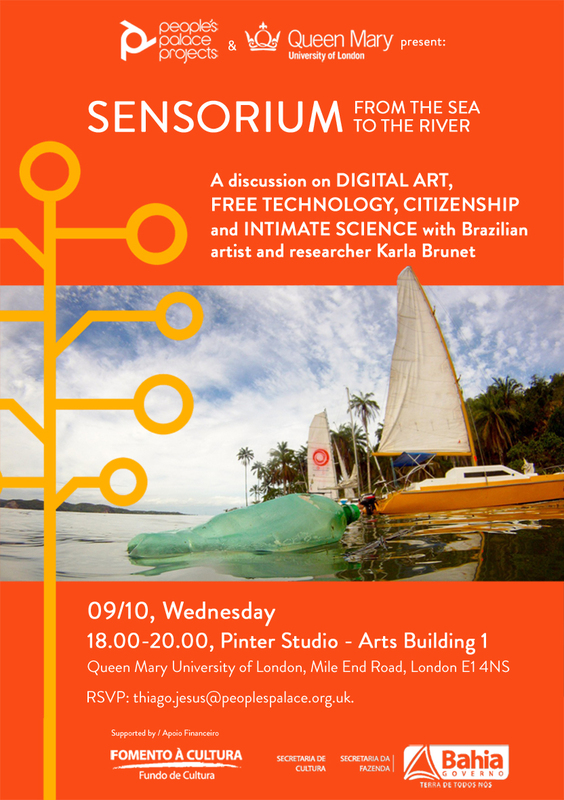 The talk Sensorium: From the Sea to the River, at People’s Palace Projects, will present the art project developed in Bahia, Brazil. Sensorium is a research and digital art project that aims to work with three major pillars: technological, environmental and artistic creation. On technological approach we have researched free software and hardware, DIY practices, open source programming language, sensors and GPS. In the environmental axis we work on notions of place and space, creating ways of perceiving the surroundings. The third approach, the artistic creation, is devoted to the development of aesthetic experimentation and environmental aesthetics on urban intervention, performances and data visualization. Veja abaixo o slide da apresentação em Londres.